"The New Hope": A lost poem by Voltairine de Cleyre, rediscovered! "Some Nihilists I Have Met" by Voltairine de Cleyre, with a new introduction by Robert P. Helms. Philadelphia anarchist Voltairine de Cleyre's moving poem Nameless. 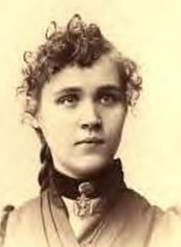 In 1907, Voltairine de Cleyre debated the marriage question with Philadelphia physician and freethinker Henrietta Westbrook. De Cleyre took the position that They Who Marry Do Ill. But in asking Is Marriage a Failure?, Westbrook answered "No." A never-before published 1897 letter by Voltairine de Cleyre: On domesticity, jealousy, and abortion.